I have no ambitions of becoming a kitchen/cooking blogger, but sometimes it’s fun to take pictures when I’m using colorful ingredients, which is exactly what I did on Thursday. 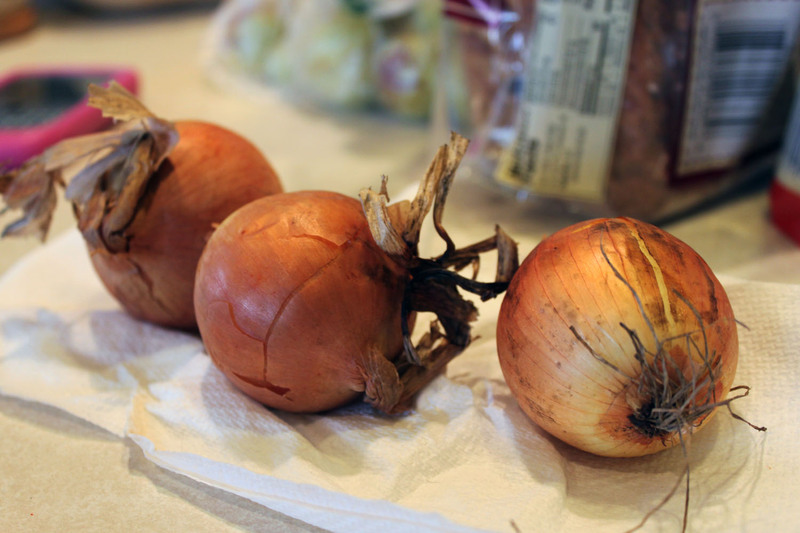 When I woke up that morning, I just felt the urge to cook. I believe this was a first since coming home from school [and not including ramen]. 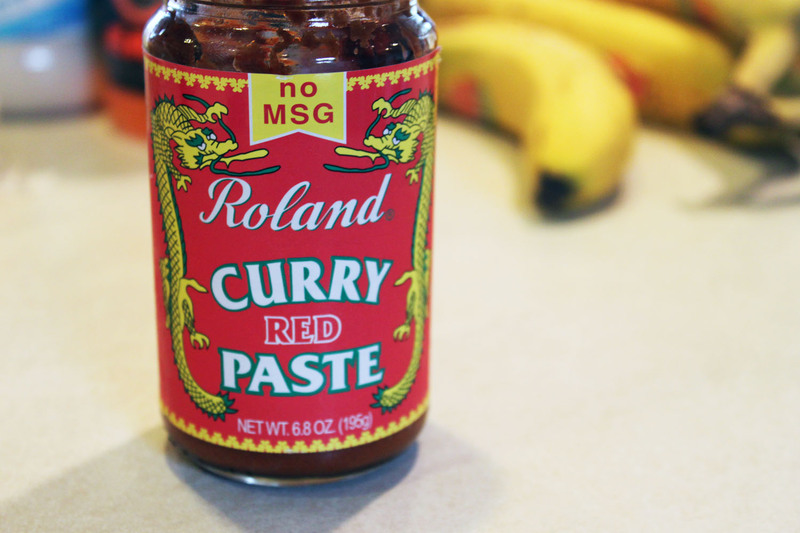 I remembered that we had some Thai red curry paste in the fridge — perfect, I love making curry! 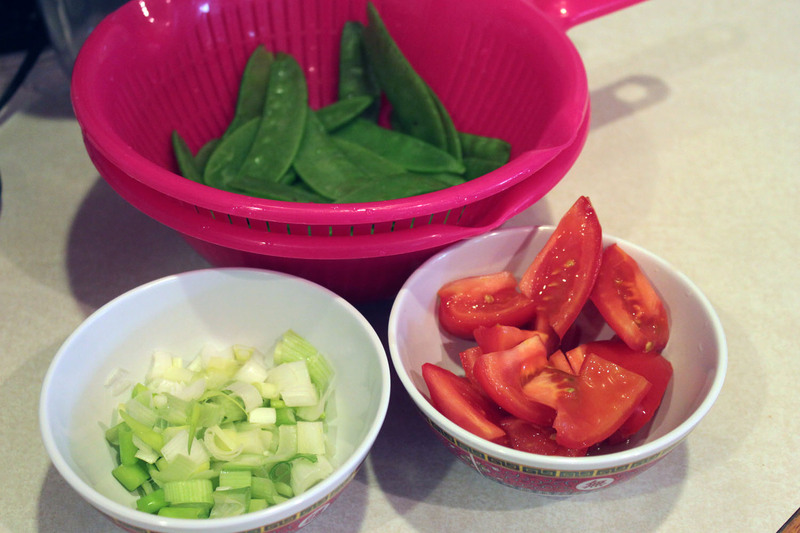 I grabbed my ingredients and started chopping. 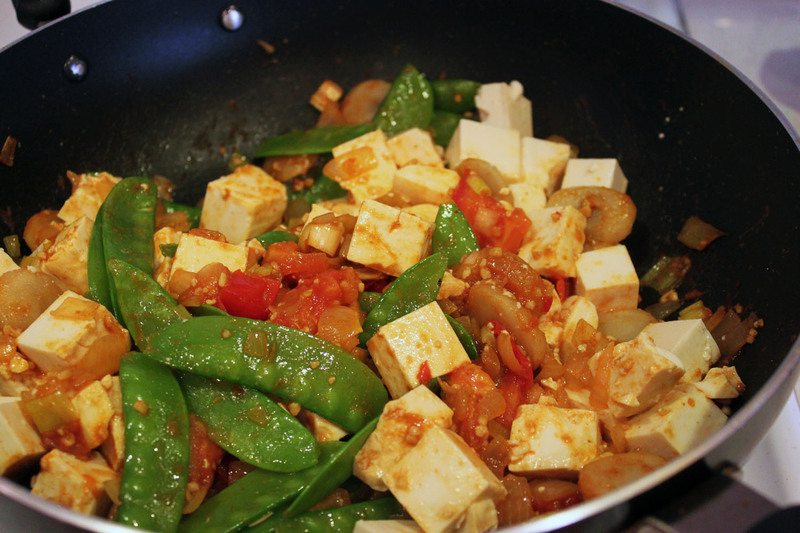 First time using snow peas in curry! Yum! Then I hit a snag. 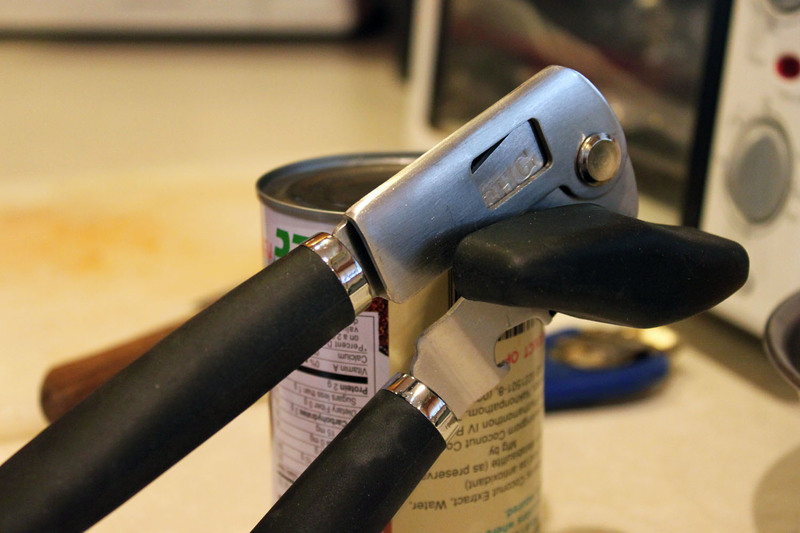 Something I realized in the month that my parents were on vacation is that our house only has one can opener, and it’s a super-old super-manual one. I’m not sure if this is what my parents use regularly or if it just shows how infrequently we eat canned food, but this time my brother wasn’t home for me to force him to help me [muahaha], so I persevered on my own. So I turned off the stove, got my car keys and went to Wal-Mart. Yay shopping! I’m never sure of where they keep the kitchen appliances, so I always mistakenly look around the food section before having to walk across the entire store to the housewares department. There were so many options! I chose a sturdy Better Homes & Gardens one with a rubberized grip. My cashier in the express lane was an Asian kid named Lance! Omg! That’s one of my favorite boys’ names and I’ve never met an Asian person with that name! It’s trivial, but it put a smile on my face. When I got home and started working on the can of coconut milk, I discovered that my new can opener also seemed helpless against it. It just wouldn’t position correctly enough to make a puncture. What the heck?! All that effort was to be waylaid by a demented tin can?? With much struggling, I finally got it to work. 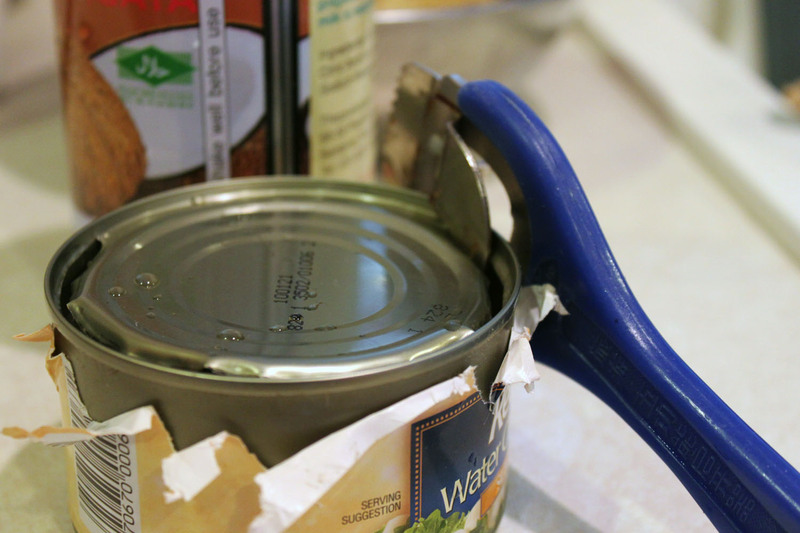 Some things simply aren’t appreciated enough…like modern can openers. 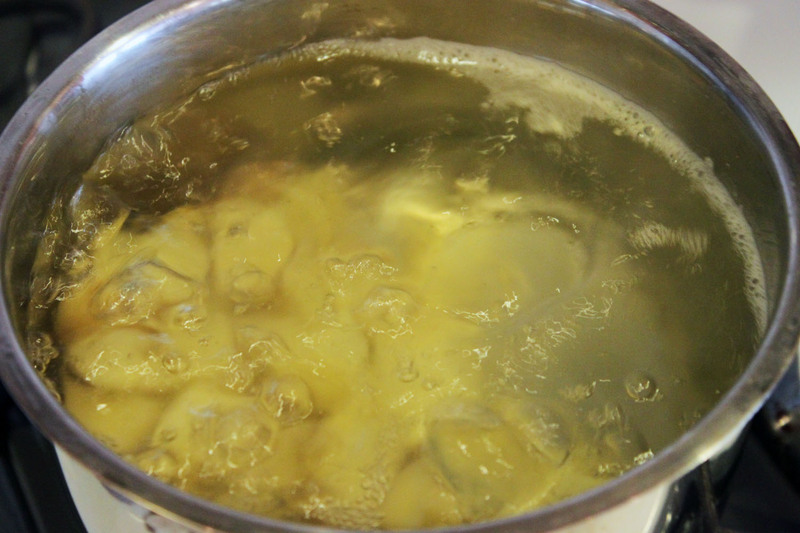 After that little snafu, I tossed in my ingredients and served up a hot bowl of curry! 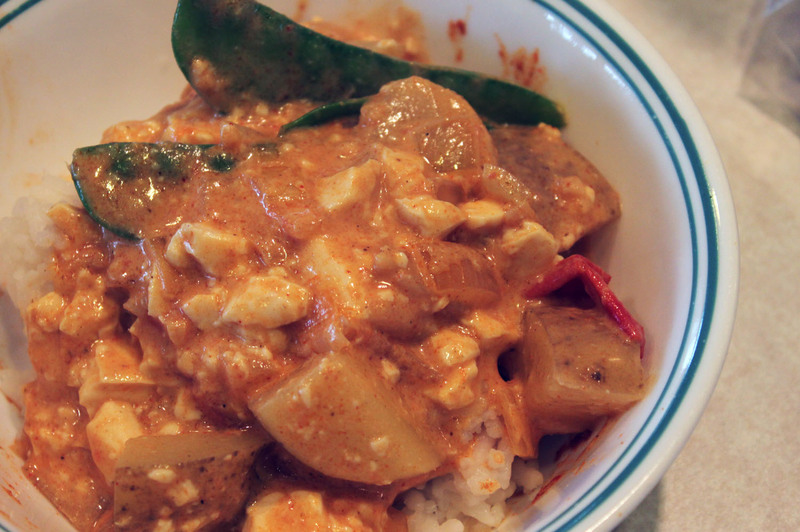 When my mom and brother came home later, I realized that neither of them likes curry :( All mine, I guess. You are currently reading Kitchen Venture at auradis.